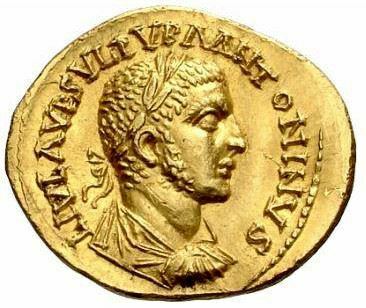 Lucius Julius Aurelius Sulpicius Severus Uranius Antoninus was a usurper who reigned in Syria around 253-254 AD. We know almost nothing about Uranius Antoninus, except that he was originally a priest called Sampsiceramus, and that he struck silver and gold coinage in the Imperial style and bronze coinage in the local style, with greek legends. All his coins are very rare. What happened to him after his claim on the throne is not known.